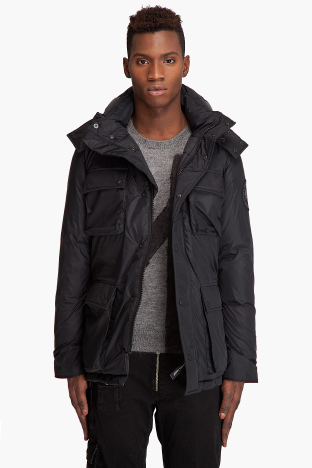 From the ubiquitous northern winter-wear manufacturer Canada Goose, the ‘Manitoba’ parka is a surefire way to stay warm as the mercury drops. Constructed from the highest quality materials by hand, and guaranteed for life, this coat is filled with unrivaled 100% White duck down. A great minimalist version of their other jackets, the Manitoba strikes a slimmer profile, and features a great tonal arm patch logo. Available for purchase at Ssense.